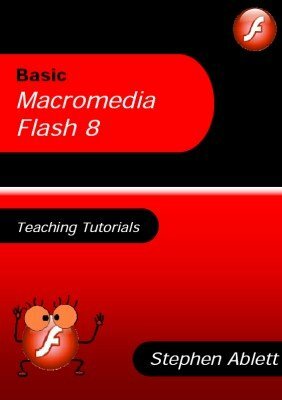 This ebook is intended for a school or college who wishes to teach animation with Macromedia Flash 8. It includes tutorials for all the main skill techniques used in Flash with pictures to demonstrate each step of the process. Most of these step-by-steps tutorials are written to last one lesson each, and teach all the necessary tools needed to create an animation. 1st edition 2011; 160 pages.